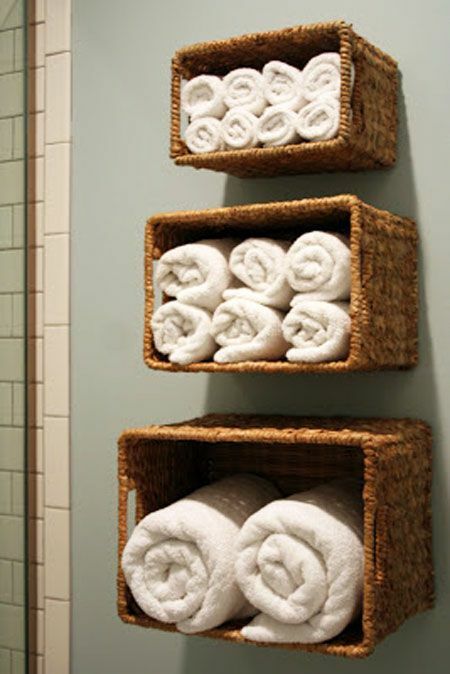 Many of us in our apartments have a small bathroom, and we present some ideas how to organize it. 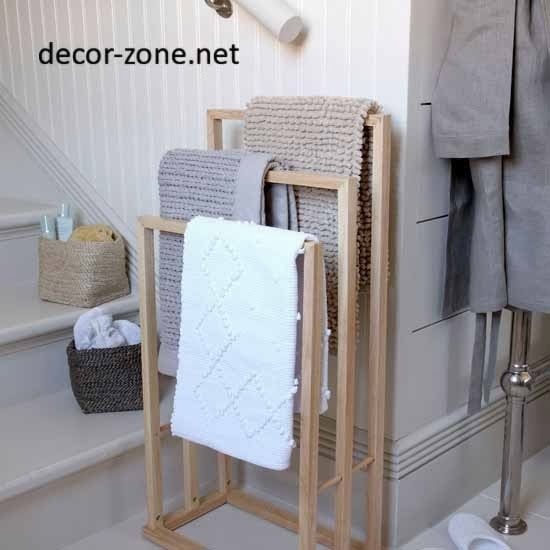 The real challenge is to organize well the space in the small bathroom, because in addition to furniture and sanitary facilities, there is a myriad of little things that require their own space for storage. 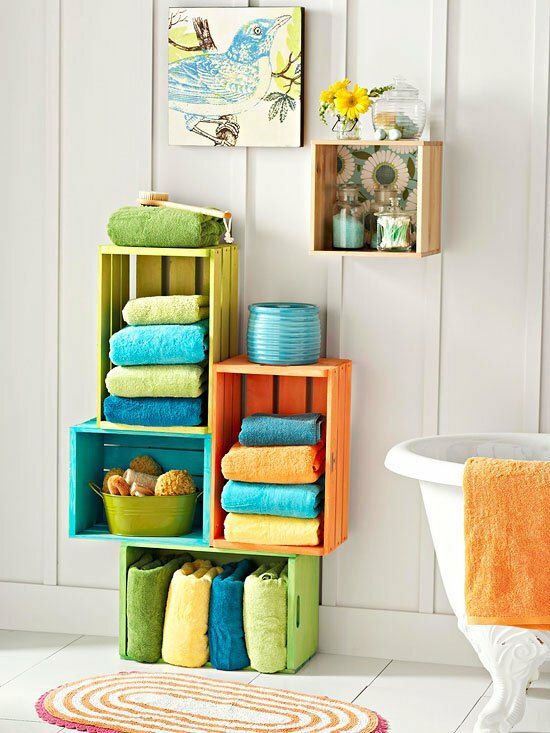 Storage space in the bathroom is necessary, and you can save space and money by recycling existing objects in your home. 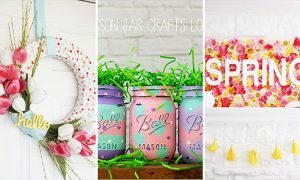 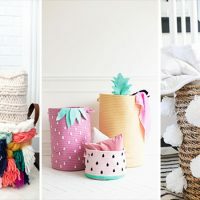 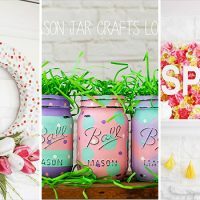 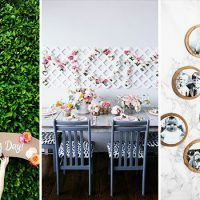 There are a lot of great ideas for recycling wooden boxes, glass jars, basket of wicker and plastic containers, that you can use when designing a small space. 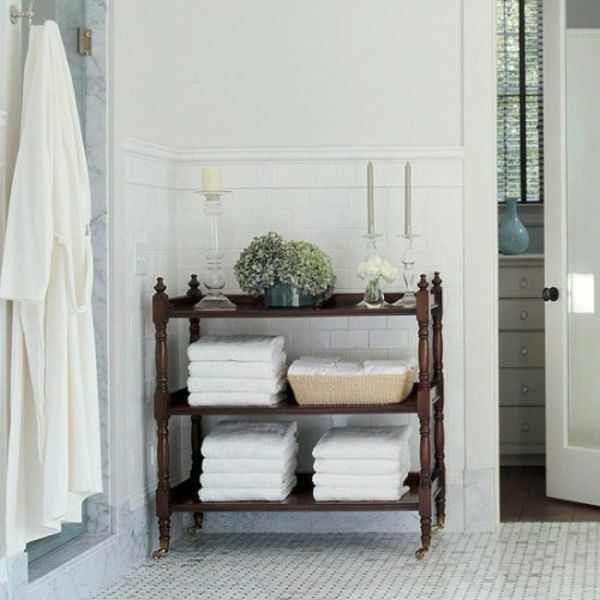 To make a small bathroom to be attractive and functional, good organization is critical. 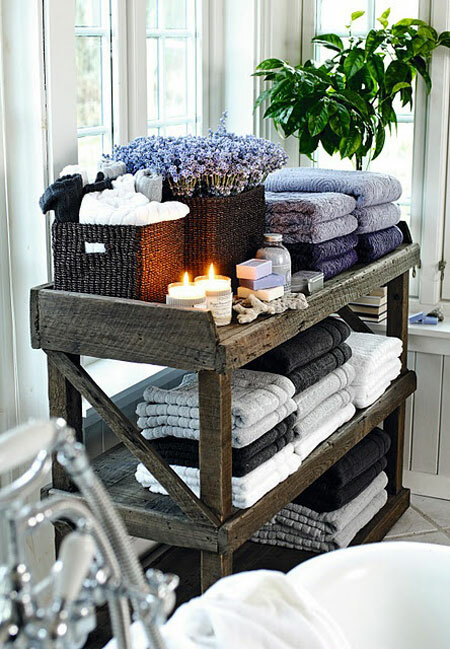 Cute ideas for storage emphasize the modern design in all bathrooms, and boxes and baskets made of natural materials are excellent choices. 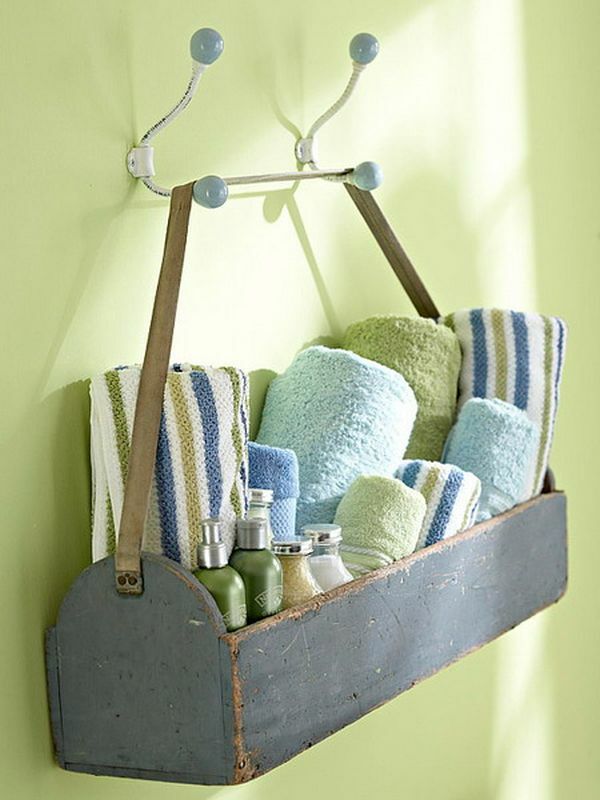 Hanging baskets look interesting and are saving the space. 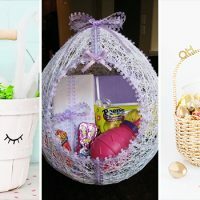 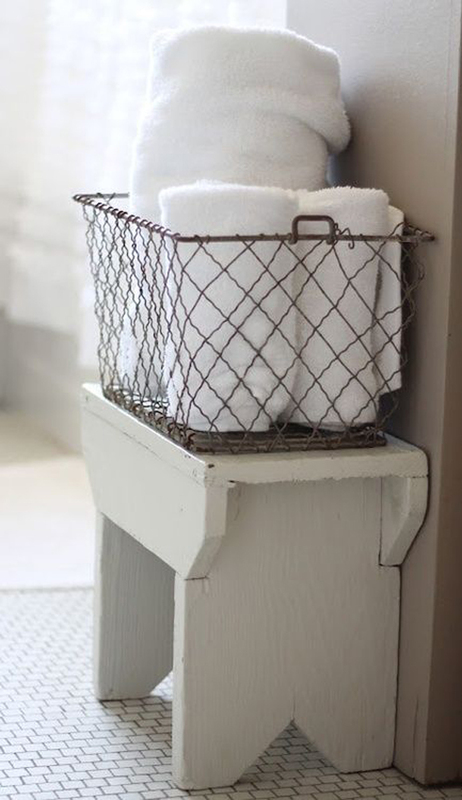 Baskets of wicker or plastic baskets are ideal for hanging on a metal rod. 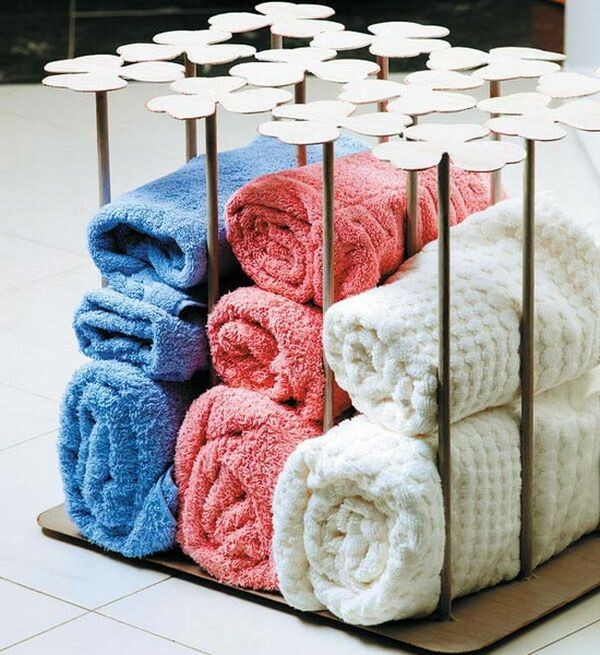 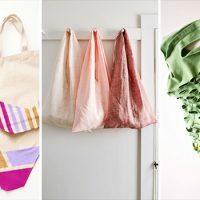 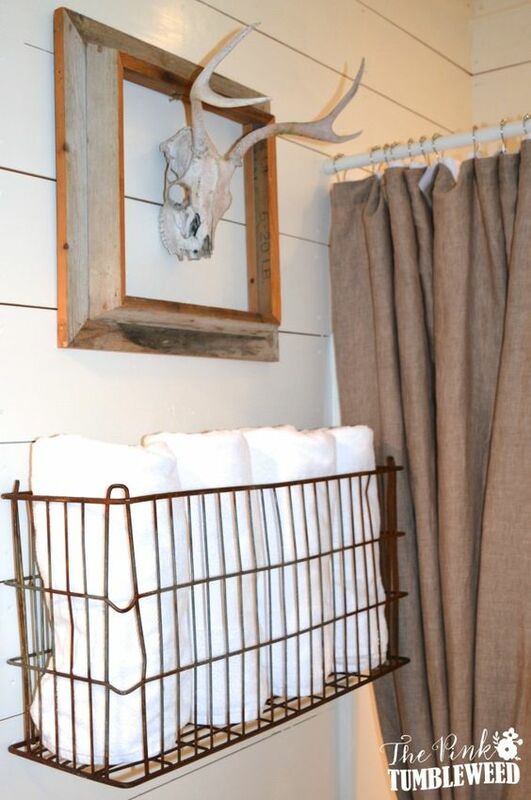 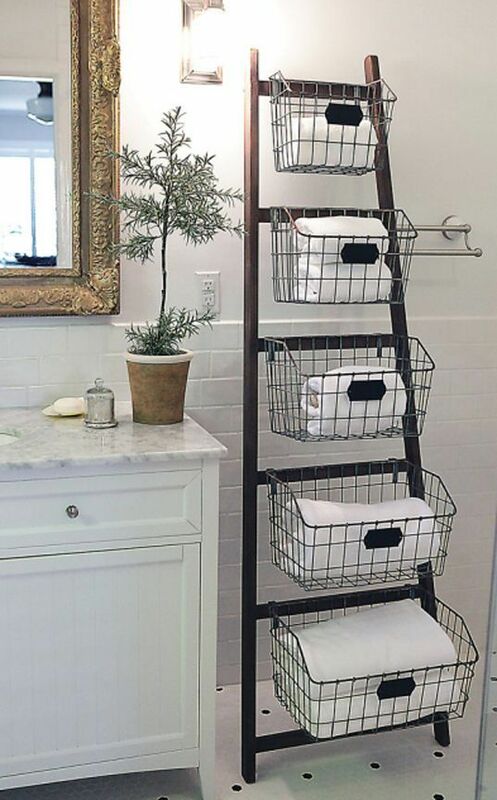 Such ideas are suitable for storing towels. 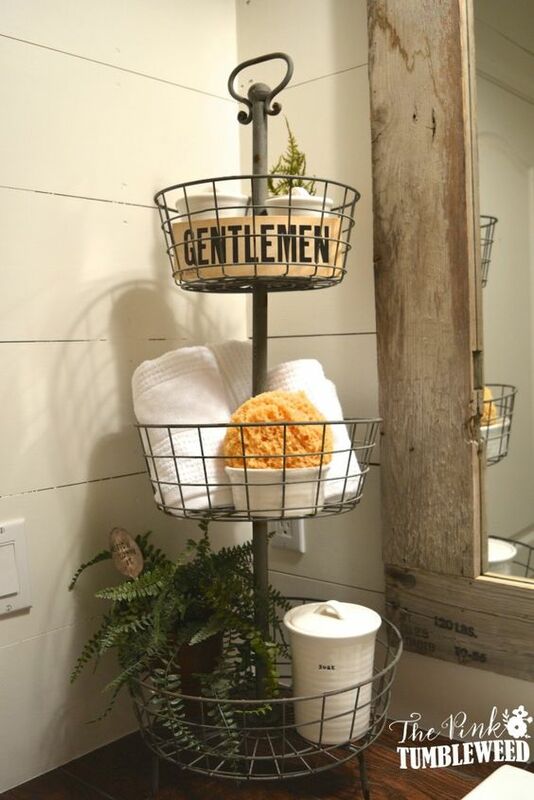 Buckets also look great on the walls or shelves. 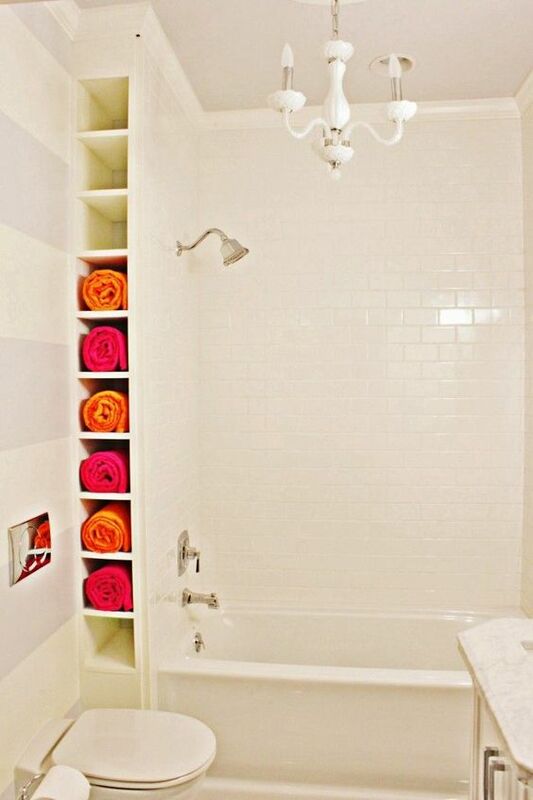 To save space, you can build a shelf above the toilet or niches in the wall to maximize space in your small bathroom. 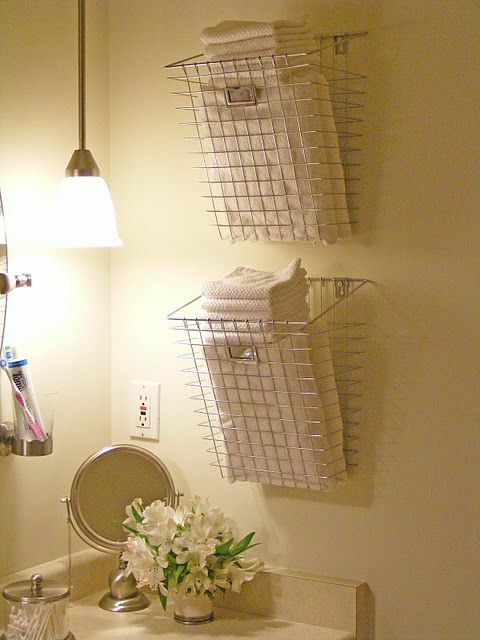 Wall shelves can be used for storing small items, organized in glass jars or plastic containers. 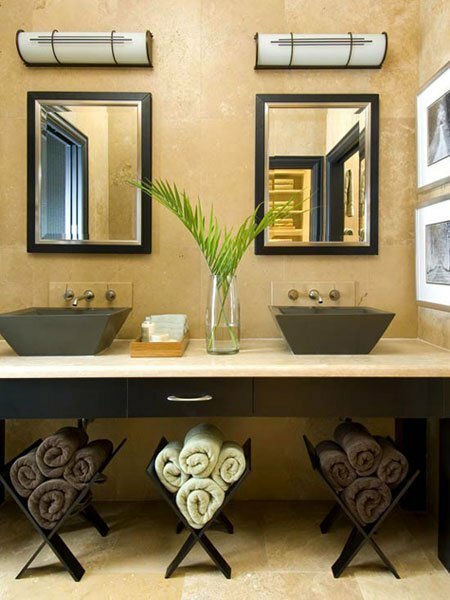 Well-organized and easily designed small bathroom will look more spacious, modern and comfortable. 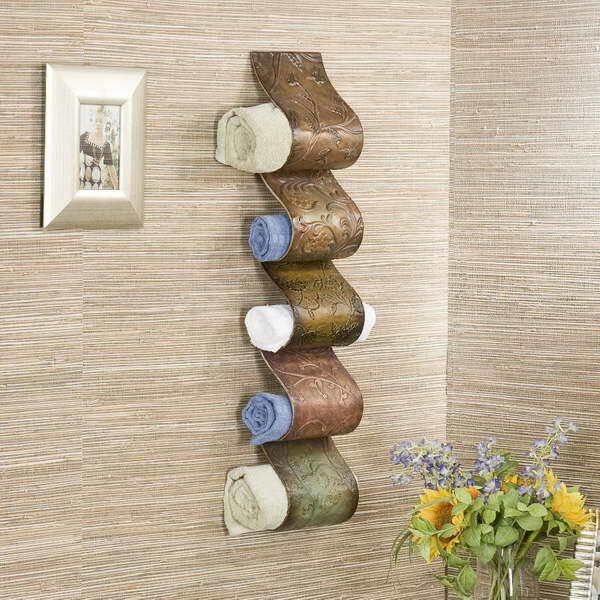 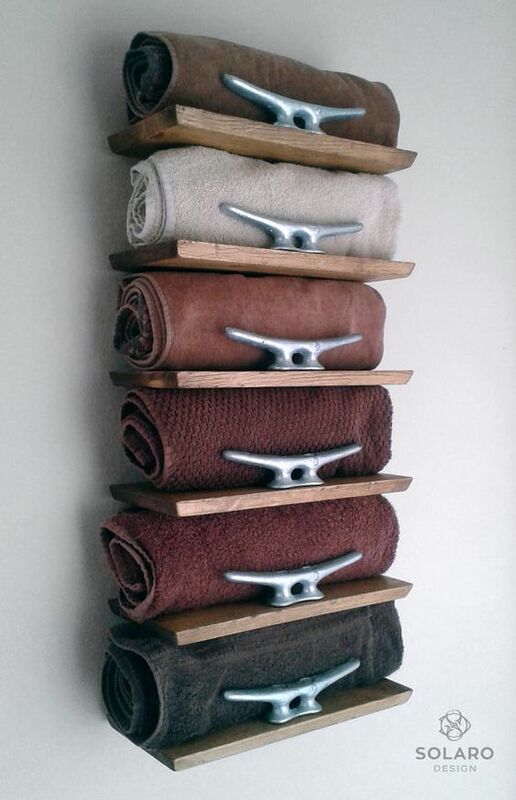 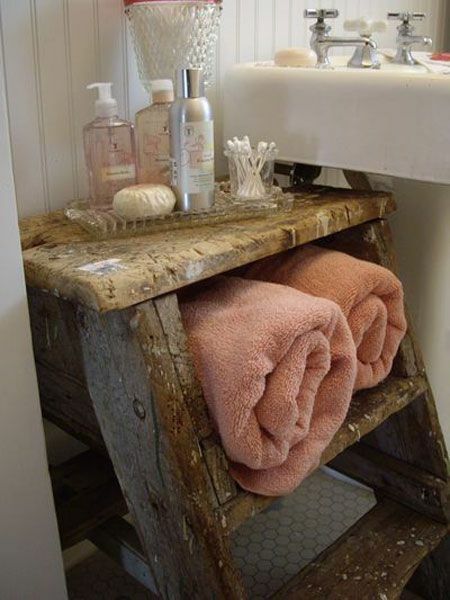 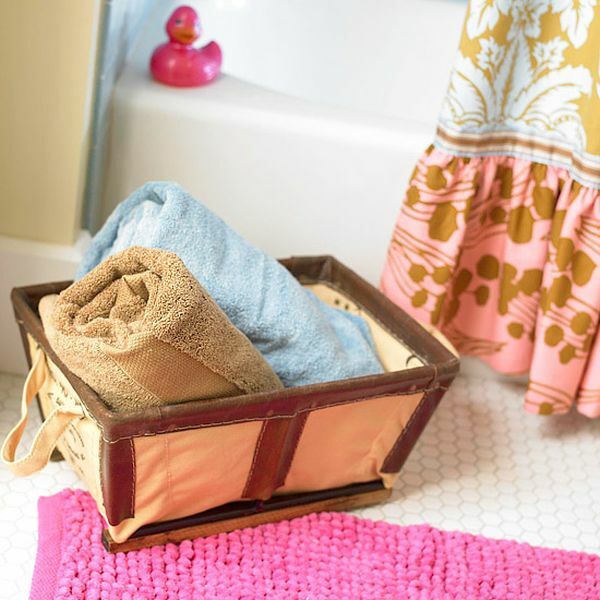 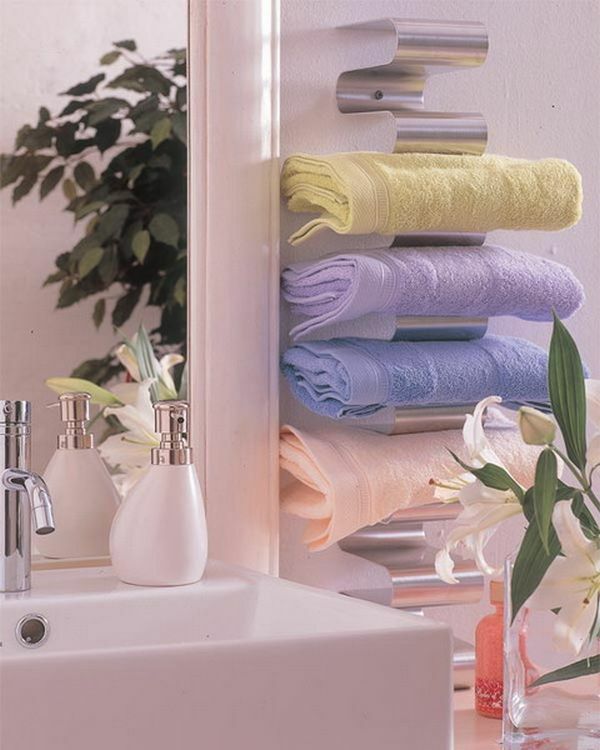 In addition, we present you one interesting collection of some creative ideas for towel storage in the bathroom. 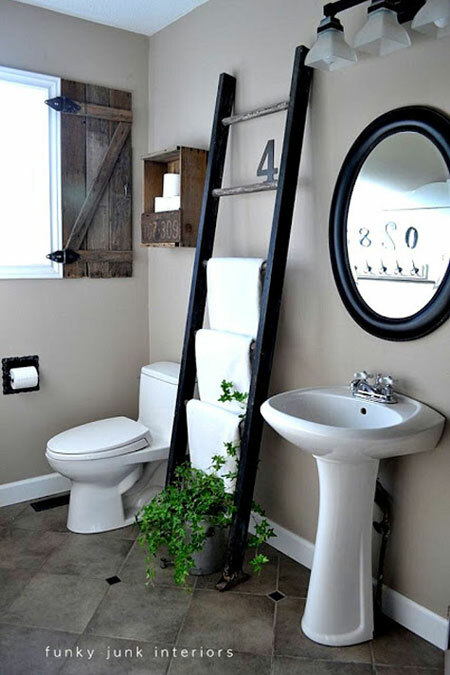 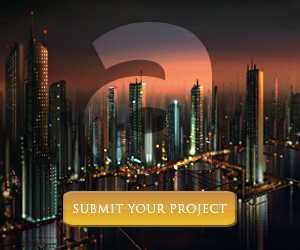 Take a look below, and you will see many inspirational examples!